June 12, 2018, 11:02 a.m. The fully integrated platform designed for High Performance Computing – the HPC Appliance is up and running. The HPC Appliance combines preconfigured hardware, middleware and software tools that allow the user to perform HPC computations from day one, without any configuration burden. Yet, this “plug & play” appliance is flexible enough to be adapted to various needs of our customers. 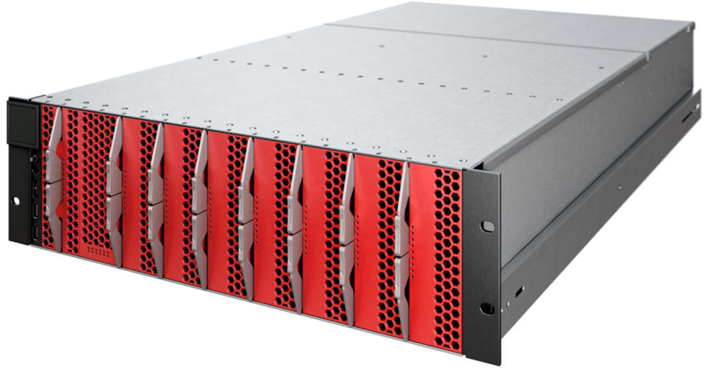 Moreover, the HPC Appliance is optimized to save energy, rack space and minimize total cost of ownership. Compared to regular off-the-shelf servers, HPC Appliance uses 1/2 of the energy and 1/5 of the rack space which overall results in 20% of savings after three years of use*. From hardware perspective, the HPC Appliance features a combination of high performance CPUs and GPUs that were carefully selected to maximize performance and energy efficiency. This complex distributed system is orchestrated by OpenStack which provides bare metal deployment of operating systems running on individual compute nodes. On top of that, the Slurm Workload Manager takes care of efficient allocation of hardware resources for your computational jobs. Finally, a set of pre-installed accelerated libraries for HPC, data analytics and deep learning saves your time so you can directly work on your domain problem. * The calculated total cost of ownership includes costs of: hardware (servers and networking), migration, electricity and space in a data centre. Tests were done using EULAG simulation workload running on CPUs.